The Avatiu Sports field will play host to a mouth-watering top of the table clash in the Van’s Premier Men’s division on Saturday 8 Sept 2018 as third placed Avatiu prepare to host Nikao Sokattak. Avatiu are currently sitting in third place in the premier men’s division with one win, one draw and no loss, but Nikao Sokattak who are only one point ahead of Avatiu will no doubt get their players to focus on today’s crucial match. Nikao Sokattak will need to be at their best to overcome a determined Blue and yellow outfit. 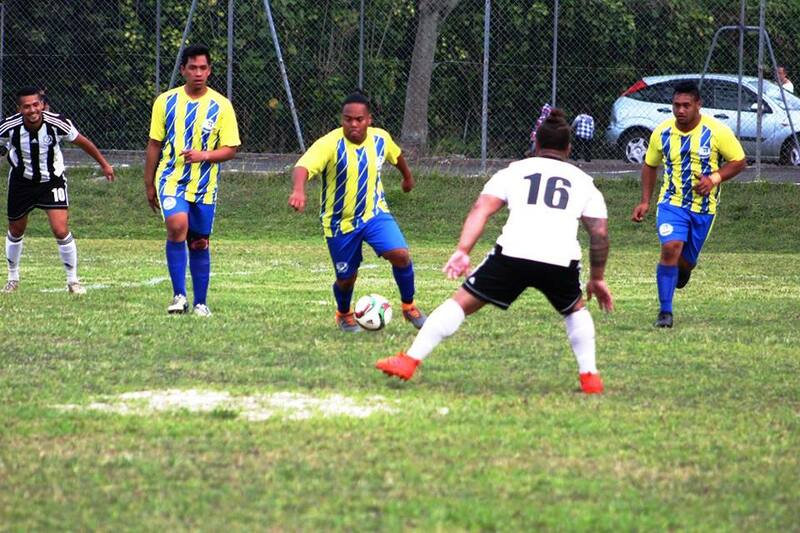 Nikao Sokattak have the ability to score goals from the slightest of opportunities and will keep the Avatiu defense on their toes on Saturday. Avatiu on the other side will be led by the likes of their veteran Atu Putere along with youngster Tauira Tararo in the mid-attacking as well as striker Campbell Best upfront, will be hoping to go a notch better. While the historic clash between the two favors Nikao Sokattak, it is expected to be a different ball game in the showdown as both teams will be leaving no stone unturned in their bid to finish their 2018 campaign on a high. With both teams finding form, this should be a closely contested match. Round four of the Islander Senior Women’s division sees the two undefeated Women’s competition leaders Titikaveka and Tupapa Maraerenga battle each other at Teimurimotia park in Titikaveka kicking off at 2:30pm. This is going to be a great match with both teams fighting for the competition lead. so come on down and support your local teams and club. Below is the referee draw and appointment’s for Saturday’s matches.